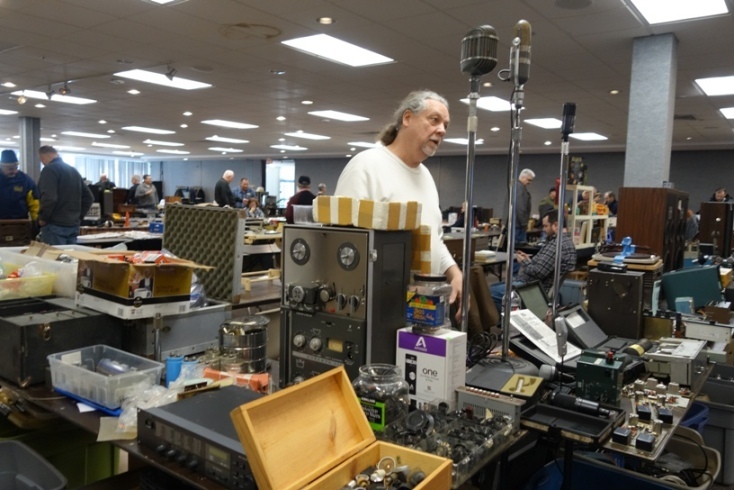 We would like to thank everyone who came out to the 2019 Winter Vintage Electronics Expo on Saturday, January 26th for making the event so successful!! 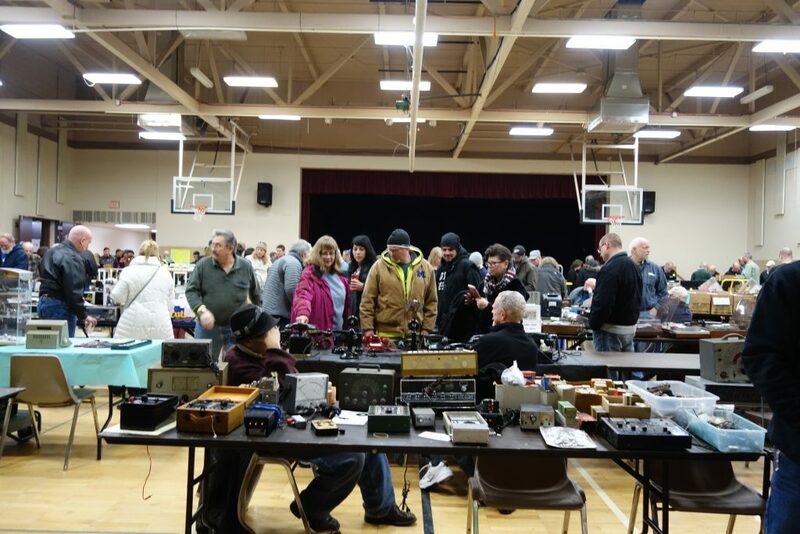 We broke attendance records again with over 1100 in the door and all vendor tables sold out. We had an amazing turnout, and a wonderful time!! Our next show is in Kalamazoo in July, we will do it all again!! Terry Dayton of D-labs did a great “walk-thru” tour of the show, have a look here. 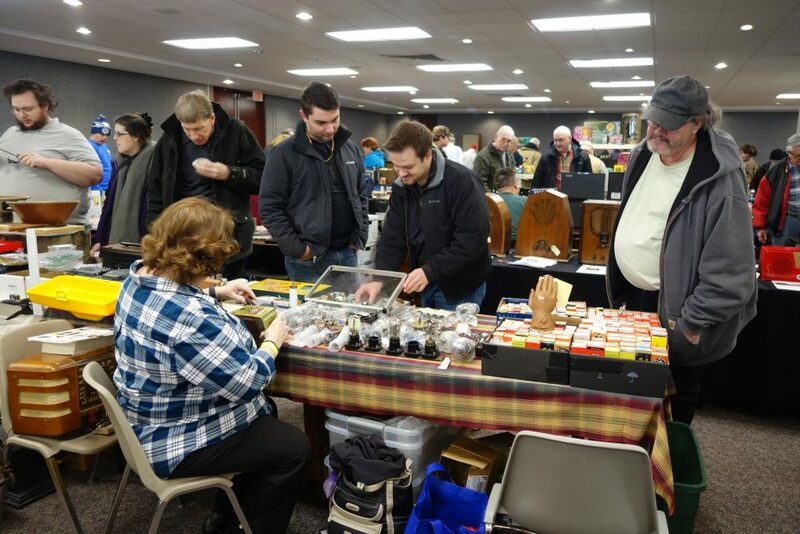 The Summer VEE is July 19-20 2019 at the Kalamazoo Expo Center – Mark your calendars ! 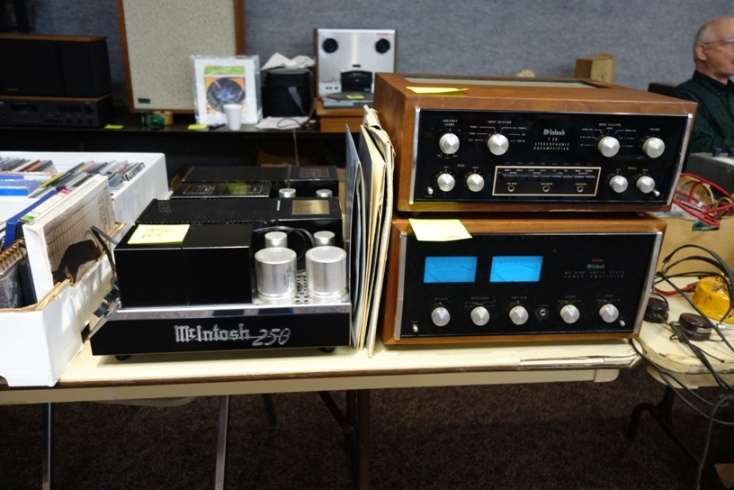 The organization holds two Vintage Electronics Expo events each year. 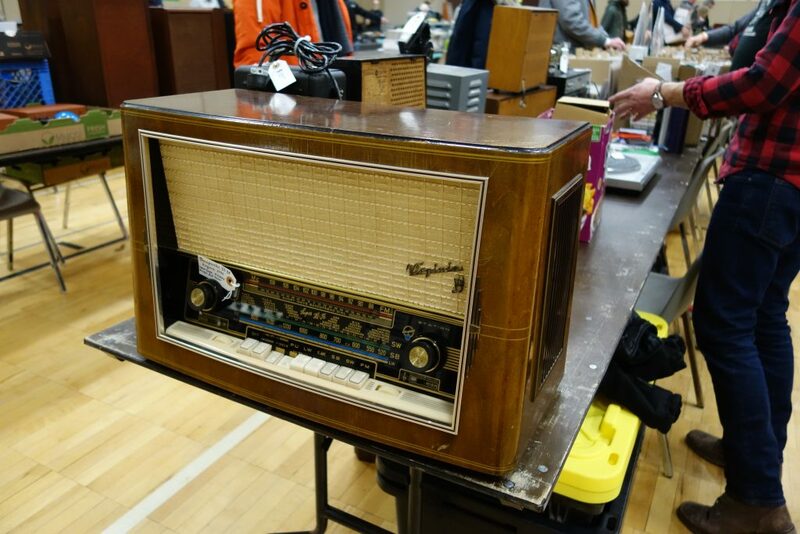 Each event offers free appraisals of any vintage electronics type items brought in, much like the famous “Roadshow” seen on TV. 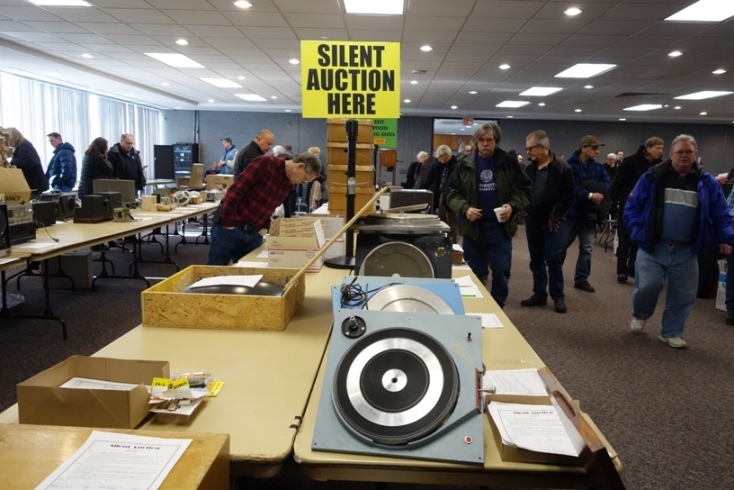 At each show you will find vintage radios, TV, vintage calculating/computing gear, vintage audio stuff , test equipment, records, record players, parts, tubes and related vintage electronics items, all for sale by owners. Some are restored gems, others are “as-is” bargains. 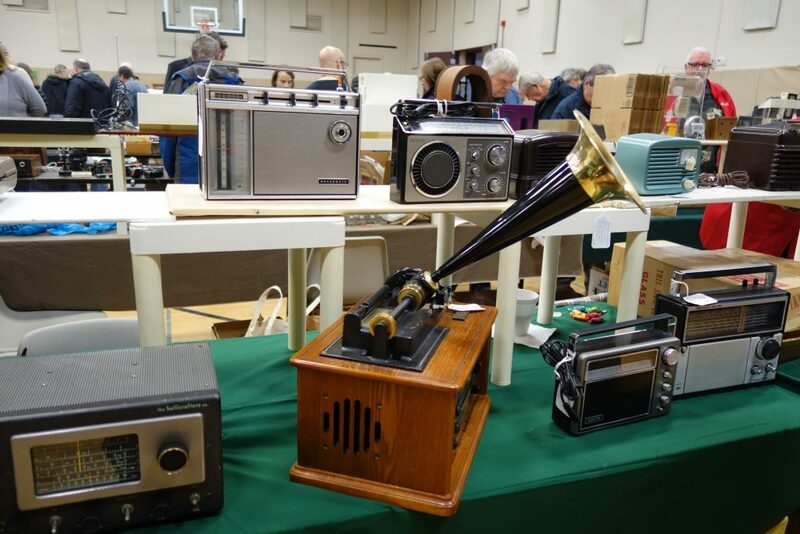 You can actually buy most “as-is” vintage table radios for under $50, many in great working order. Some highly priced gems can sell for over $2000. 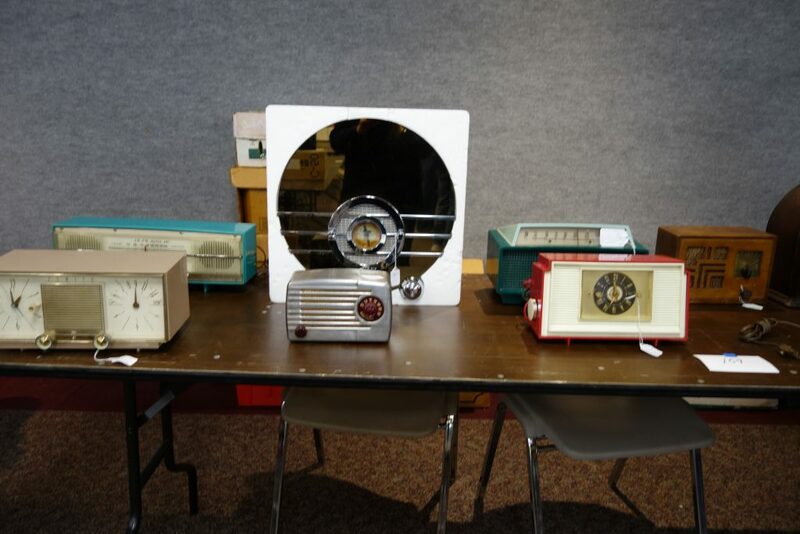 At our “Main Auction” in 2011 we had one of the most desired “Art Deco” radios sell for $34,000 ! It was found in a barn ! We never know what will show up ! General admission is $5 each day at these events. Kids 12 and under get in free. SUMMER- Kalamazoo, MI. 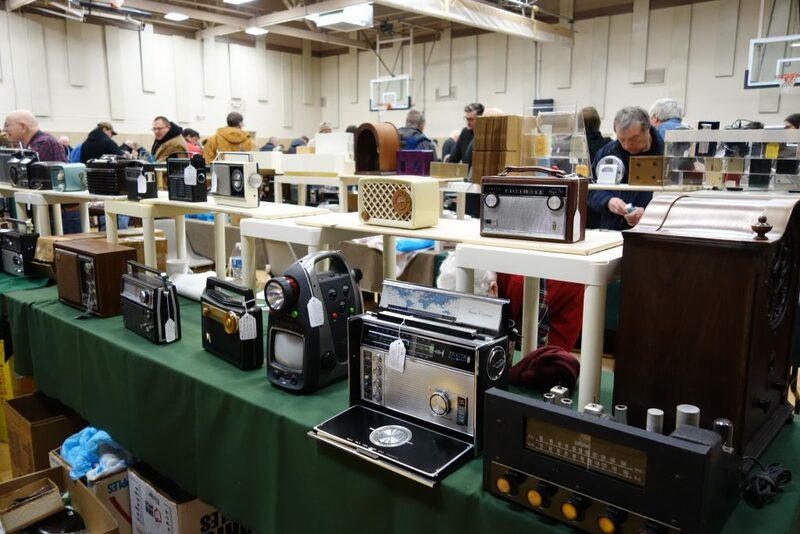 Our largest show (and the first ALL INDOOR multi-day vintage electronics event of this type in the USA) has moved from our long time Lansing location to Kalamazoo Expo Center, located at the Kalamazoo County Fairgrounds. It is usually the second full weekend after the 4th of July holiday. 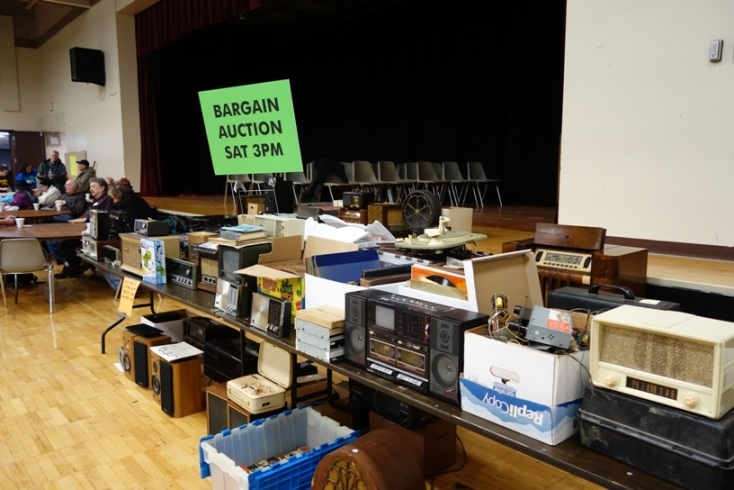 This show features a huge flea market, a “Main Auction”, “Silent Auctions”, seminars, and a Bargain Auction at the end of the event. Sellers and buyers come from all over the USA. 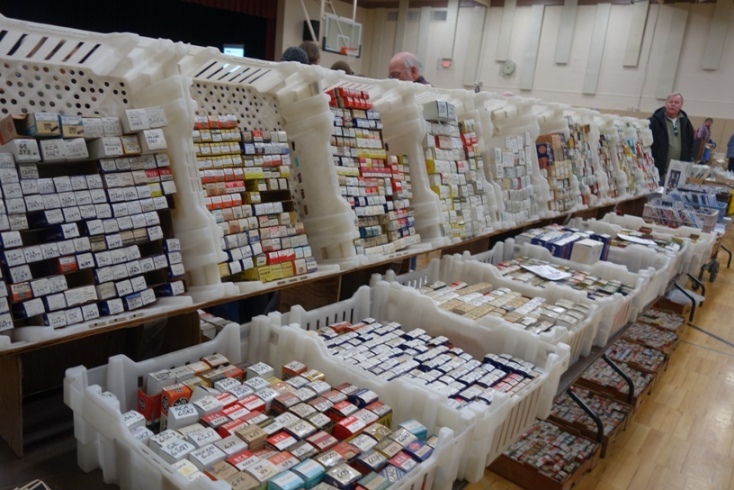 The club encourages the general public to attend… the admission is just $5 per day. 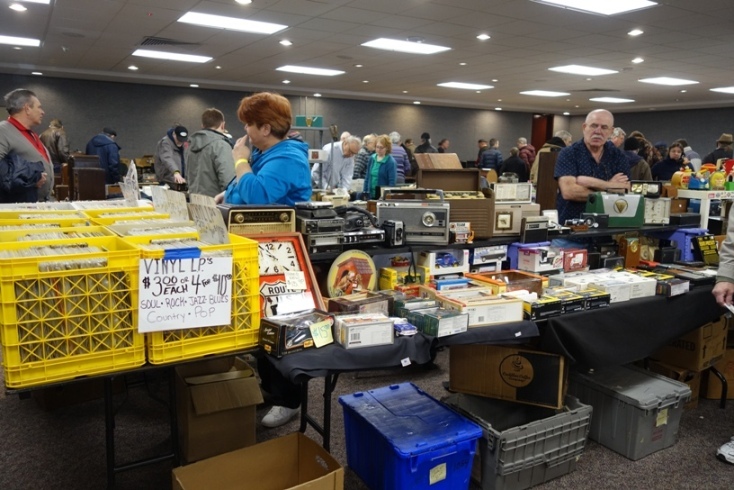 Thursday is a set up day only (no sales allowed and only dealers admitted), then the flea market opens FRIDAY morning. 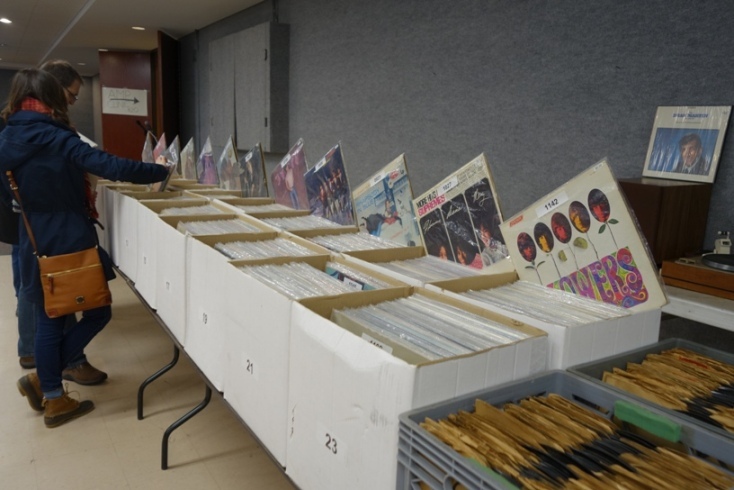 We also offer a “Roadshow” style evaluation service at each show. 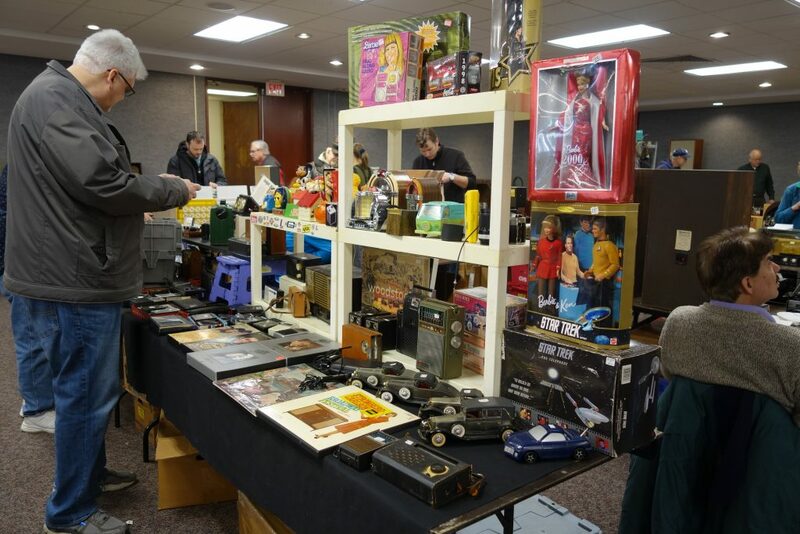 The club encourages folks to bring in items for appraisal, repair or parts info, or to donate to the club. Bring clear pictures if the item(s) are too large to move. Best to contact us first if you have a collection of items you wish to sell or donate to the club. WINTER- Farmington Hills, MI…. was held Saturday, January 27, 2018 at the Costick Activities Center . 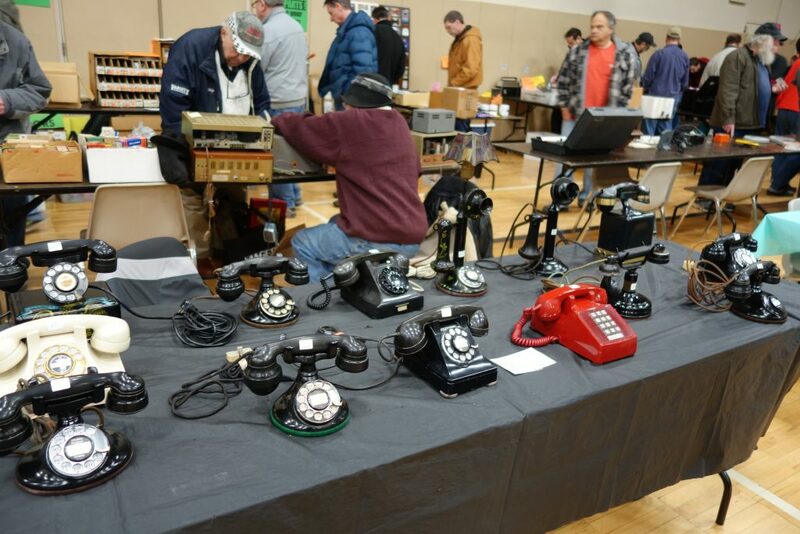 A record attendance of over 800 came and over 120 tables of sellers !!! 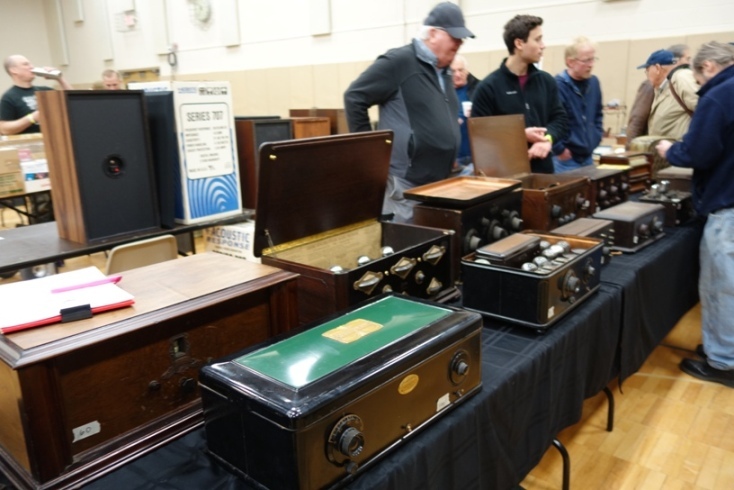 Next Winter Vintage Electronics Expo will be Saturday, January 26, 2019. 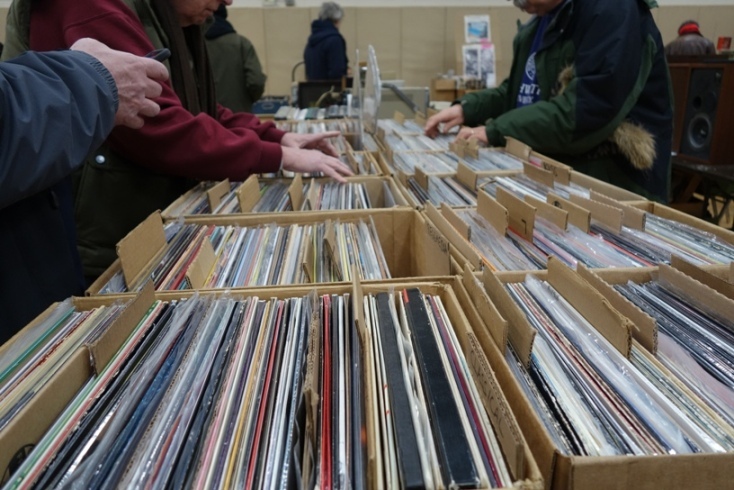 Bookings for seller spaces at that show will begin sometime in November. For more info on any of the MARC events, call 734-20-RADIO (207-2346) or email moppat@comcast.net. 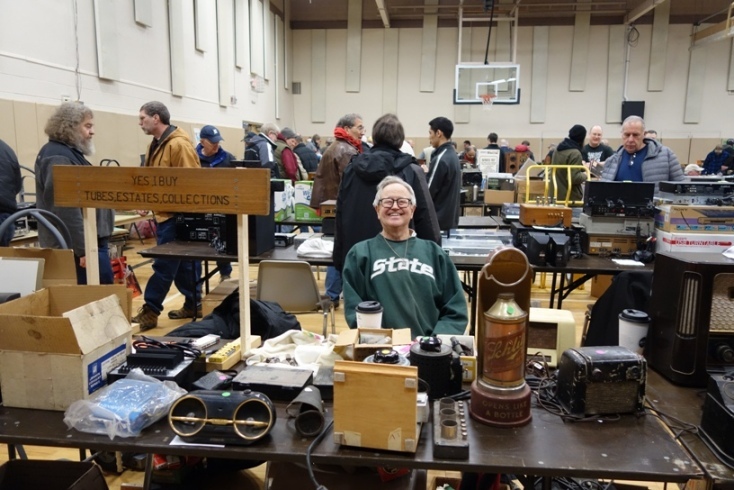 MARC also publishes The Michigan Antique Radio Chronicle, which is included with membership. Membership is currently $25 per year. This picture shows the Lansing “Extravaganza” event from back around 1990 when we had a small tent ! 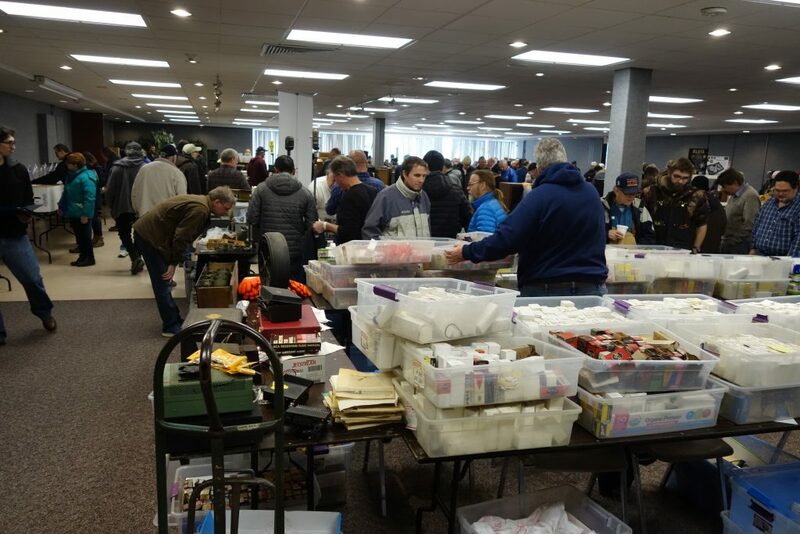 This event grew for many years and is now ALL INDOORS with 40,000 square feet each July inside the Kalamazoo Expo Center !